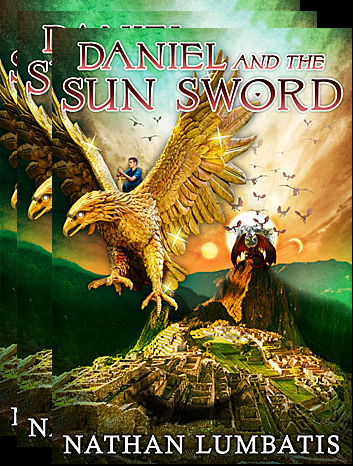 Come Get a Signed Copy of Daniel and the Sun Sword Tomorrow from 1:30-4:30! DON’T FORGET TO REVIEW ME ON AMAZON! Okay, so it’s not an actual party. But I’ll be there, and so will a bunch of other authors. It’s the perfect opportunity to get a signed copy of my book (or several) for a Christmas present! So come on out to the Author Showcase at the Houston Love Memorial Library this Sunday, November 22nd, from 1:30-4:30! Speculative Fiction begins by presuming the basics of a Christian worldview and then asking “What if?“. One of the central What if’s of Daniel and the Sun Sword, and the Sons and Daughters series as a whole, has to do with the origin of worldwide mythologies: What if every culture’s myths grew out of man’s fallen memory of the one true God and his plan for redemption? Wouldn’t there be traces of the thread of redemption in those ancient stories? No doubt some believe as much. For Christians, we find some support for this in the Mazzaroth, the Jewish zodiac which, legend tells, was a mnemonic device for orally teaching the story of redemption since the time of Adam. For nerds like me, the real fun starts when you begin to untangle those similarities and consider how the cultures of ancient societies lost the truth. Here are three myths* that fit the bill, the first being the Incan myths woven into Daniel and the Sun Sword. Viracocha: The Incan creator-god. After creating the natural world and the cosmos, he turned his mind to mankind. His first attempt at creating people displeased him, as the first versions were brainless giants. So, he wiped them out with a flood, and created a less barbaric race. Then, he took to wandering the world as a kindly beggar, helping those in need, and appearing in times of trouble. Mankind: Men were created when Viracocha breathed life into stones. They were seen as his children, and he loved them as a father. Supai: The Incan god of the dead, king of the demons, and the ruler of the underworld. He was such a nasty fellow, in fact, that the Incans would sacrifice their children to appease him. Ra: The creator and Father-God in Egyptian myths. He called everything into existence by speaking its name. Mankind: Created from Ra’s tears, they were originally brutish and rebellious. They plotted against Ra, who sent divine retribution in the form of the goddess Sekhmet. Osiris: Divine son of Ra, and god of death, the afterlife, and resurrection. He came to earth to rule as a king and bring civilization to mankind. He was tricked and murdered by his divine brother, Set, only to later be resurrected. Set: Evil brother of Osiris, and the god of chaos, war, storms, deserts, and destruction. Anu: The Sky-Father and king of the divine pantheon. He was the divine judge of those who committed crimes. Mankind: Fashioned out of clay and imprinted with the image of the gods. Due to mankind’s rebellion, the gods send a flood to wipe out all but Utnapishtim, who saves his family on a boat. Dumuzi: Human king who was later deified to become the god of fertility. He spent half the year in the underworld but was resurrected each year to bring the blessing of the growing season. Nergal: Evil god of the underworld and harbinger of disease and death. If these legends were derivative from the true redemption story, what likely led to the obscuration of truth in these cultures? One can only speculate. 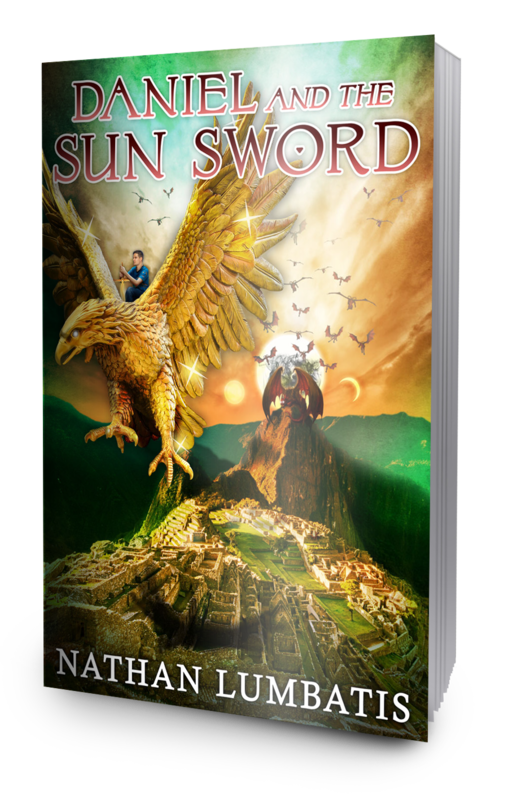 In Daniel and the Sun Sword, it was the fear of Supai that led to the Inca’s deception. For the Egyptians, no doubt the extremes of the Nile river delta led to their weaving of the divine with natural forces around them. For the Sumerians, maybe the echoes of humanistic Babel lived on in the deification of their kings. Regardless, the truth of redemption has endured…and makes the perfect backdrop for any great story. *For any mythology aficionados out there: I know that for any one version of a myth, there are at least two others that vary in detail. I have presented here simply those versions which parallel the redemptive thread of Christianity. Amazon Is Open For Reviews! This tale’s a wild ride with spiritual warfare, monsters, demons, action, adventure, coming of age, orphans, adoption, abuse, and the kitchen sink. This is Raiders of the Lost Ark in Machu Picchu. It’s action/adventure way over the top—great fun. This entry was posted on November 21, 2015 by nathan.lumbatis. It was filed under Christianity, Daniel and the Sun Sword news and updates and was tagged with author appearance, Christian books, Christian fantasy.